Towards Crowdbanking. Why banks should appropriate crowdfunding? Many think that lending and equity-based crowdfunding are disruptive technologies for the banking industry with the potential to displace banks as the primary source of funding for personal and small business loans. Like banks, lending and equity-based crowdfunding provide financial intermediation services to business and individuals; however, they do it in a different way. Crowdfunding relies on the internet to connect potentially large pools of business and individuals with capital/investment needs. Thus, lending and equity-based crowdfunding platforms have become attractive alternatives for small businesses who would find very difficult to get a bank loan. Can crowdfunding really become a large, mainstream way of financing or will it rapidly be as selective as venture capital? Today’s flourishing landscape of crowdfunding platforms has to be considered with detachment. More and more candidate’s projects will not necessarily mean more funding for everyone. In fact a “winner takes all” outcome could rapidly occur on platforms – especially if we consider, on another hand, that these platforms will tend be less numerous tomorrow. If we consider Germany, for example, we see that among the crowdfunding platforms, one has rapidly gained predominance in raising capital: the Startnext platform generated around 82% of all capital raised last year. The funds raised came to EUR 1.975 m, which represents an increase of 712% compared with 2011. The second biggest platform is VisionBakery with a funding volume of only EUR 149,109 in 2012. The German crowdfunding market is gradually becoming established, but experts assume that consolidation will set in for two reasons: First, the platforms are competing in a relatively modest national market, so the commission fees are under threat of shrinking further. Secondly US-competitors like Kickstarter are benefiting from an active and expanding global community. A platform like Indiegogo is already global. Another key point is that crowdfunding can be a risky business. First, because you don’t avoid investment risk by working apart of banks! Secondly, fraud is easy as any web site can call itself a “crowdfunding platform” and divert funds in a dishonest fashion. That is why regulation will be of great importance for the crowdfunding market. Crowdfunding platforms do not collect deposits and thus, they are not regulated by Central Authorities. Although such Authorities are expected to regulate equity-based crowdfunding. On April 5 2012, President Obama signed into law the Jumpstart Our Business Startups Act which is aimed at facilitating small business access. Yet, it is still unclear who will regulate the entire industry. So far, this sort of regulatory vacuum has been significantly reducing the cost of compliance and allowing platforms to speed up processing times. That is why too severe rules would surely kill crowdfunding. But, given the investment risks it offers, leniency would definitively impede its growth. That’s why long term success of crowdfunding should not be overestimated, unless it receives credible promoters. What about banks? Crowdfunding platforms could naturally evolve to become the primary source of financial services for young generations. Whether you find such a threat is relevant, or not, the surprise is that most banking institutions have not led the way and adopted the crowdfunding models so far but look at those as competition. Yet, if we can fancy that crowdfunding platforms will replace banks one day, it’s eventually easier to imagine that banks can appropriate crowdfunding models and develop crowdbanking solutions. BBVA (Spain), Crédit Agricole Pyrénees-Gascogne (France) or Volksbank Bühl (Germany) already launched their own crowdfunding platform as one service, among others, they offer to their customers. Moreover, some banks develop “crowd solutions” by which they do not only appropriate crowdfunding models but give them new dimensions. For example, banks could use the « Wisdom of crowds » to decide which projects get funded and which do not. In other words, rather than replacing a traditional means of obtaining capital, crowdfunding could actually facilitate the process of securing a business loan from banks. In the very near future, venture capitalists and bankers may be sending clients to the crowds to get their ideas validated first. Then, after seed funding from the crowd is obtained and the business model is proven, banks will fund them. 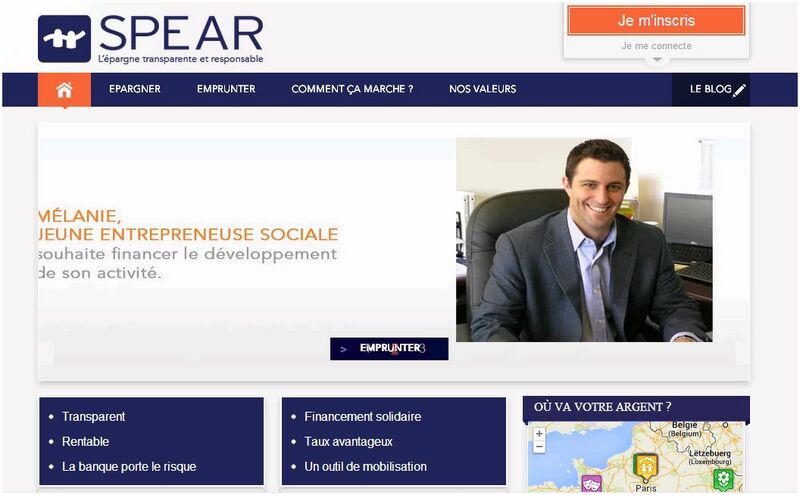 In France, such a solution was launched by two banks: Société Générale and Crédit municipal de Paris, through the Spear platform. A lot of cash which they could invest as well. Therefore, wouldn’t it be easier for banks to promote the crowdfunding models faster than anyone else?